A successful season is quickly turning into a memorable one for the Staples boys cross country team. One more win would equal immortality. The Wreckers backed up their win at the FCIAC championships by taking home the Class LL title in another dazzling performance at Wickham Park in Manchester Saturday. The Class LL title was the first for Staples since 1989, and it was the first class triumph for the school since 1999. Staples went 15-0 in the regular season then won the school’s first conference title since 2004 with the FCIAC win. 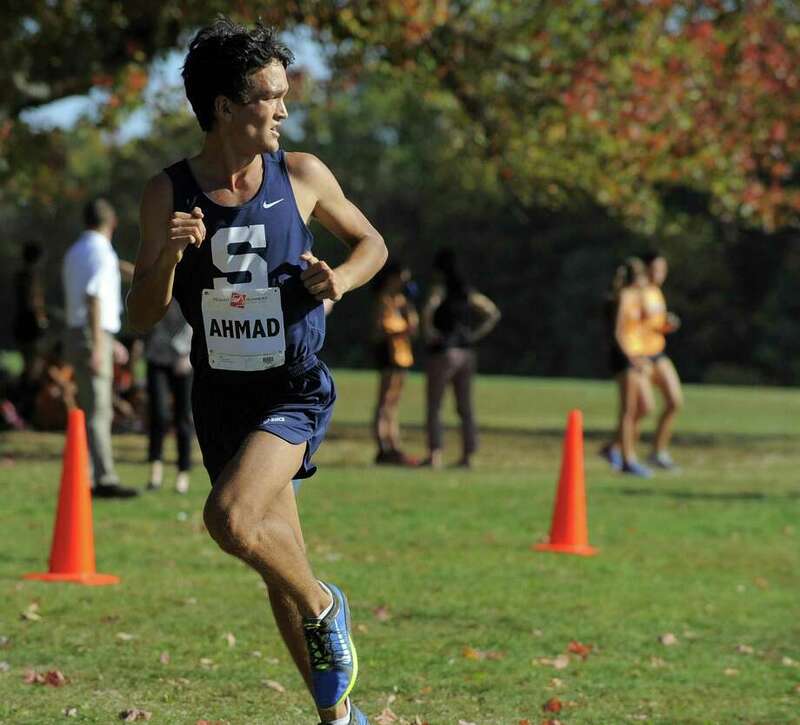 Zakeer Ahmad was pushed to the limit in the race but still came home in first place. Fairfield Prep’s Drew Thompson (15:50) finished just a second behind Ahmad (15:49), who held off a late charge to win the overall title. The depth of the state did not break up the Wreckers lead pack, either. Four Staples runners placed inside the top nine. Sunil Green finished sixth in 16:23, Ben Seiple finished seventh in 16:24 and Will Landone finished in ninth with a time of 16:28. The Staples girls cross coutnry team also delivered at the class meet. After finishing fifth at FCIACs last week, the Wreckers came home in third as Susie Martin finished fourth overall with a time of 15:05.14. Zarah Ahmad finished 25th in 16:16.40, Tori Greenberg was 33rd in 16:30.70 and Elysse McCambley was 40th in 16:43.70. Both squads will be in volved at the State Open, which takes place Friday at Wickham Park.